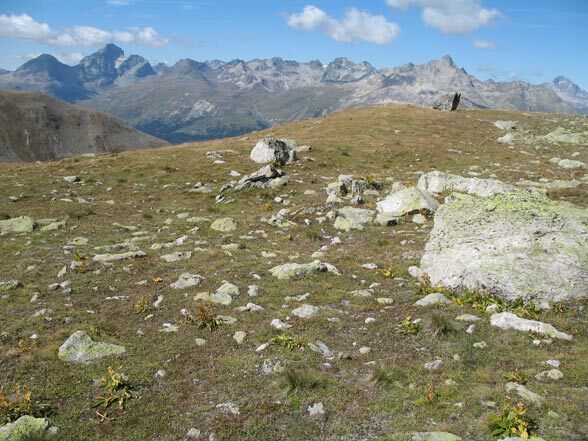 Aeropedellus variegatus inhabits high Alpine, gappy grasslands, rocky pastures and morains from 2000 to 3000m above sea level. 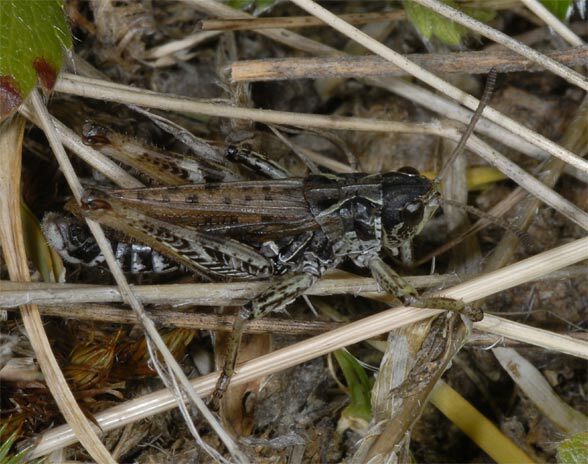 Aeropedellus variegatus belongs together with Bohemanella frigida to the highest locust species in the Alps! They survive frosts easily. 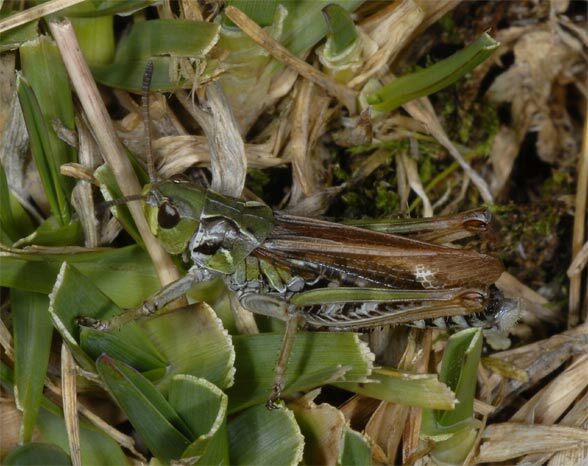 Unlike B. frigida which is more evenly distributed in the population area, Aeropedellus variegatus is mostly limited even on its sites to very small areas, but there quite individual-rich on a few square meters. Adults can be found from early August to early October. The eggs overwinter in the ground. Small-scale habitats of Aeropedellus variegatus are eradicated quickly due to tourist development measures. At the highest elevations of its occurrence, however, there is often no threat. 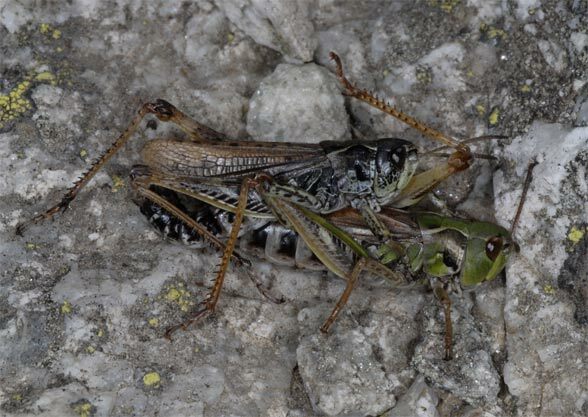 But global warming could be negative for Aeropedellus variegatus. 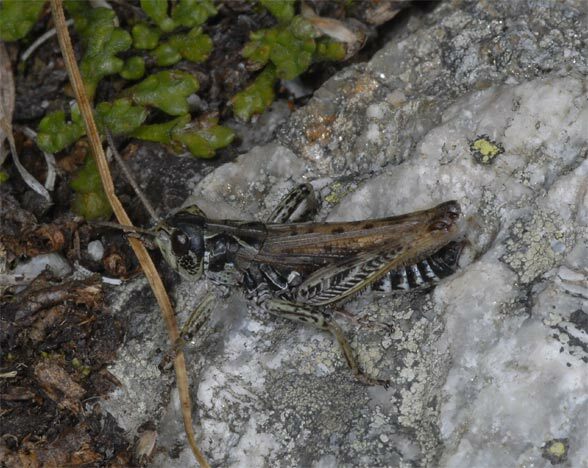 Aeropedellus variegatus occurs in Central Europe only very locally in a few areas of the Alps, so the southern Grisons (Engadin). 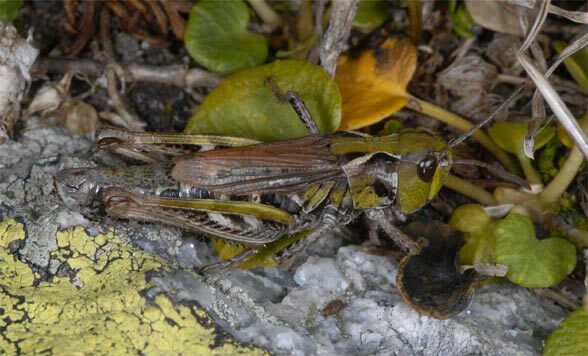 Aeropedellus variegatus has a Boreo-Alpine distribution and occurs in the Alps, then locally from northern Finland eastwards across parts of Russia and northern and Central Asia to Kamchatka and also in Alaska. Further it is known from some disjunct populations in other high mountains such as Rila and Pirin in Bulgaria.